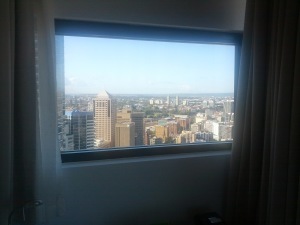 Yet again I’ve had a fantastic time staying in Sydney and managed to pick some apartments with an amazing view. Life has definitely been great although most mornings I’ve taken to sitting and watching the sun spread over the world rather than hit the gym. Well, there’s water in the distance at least. 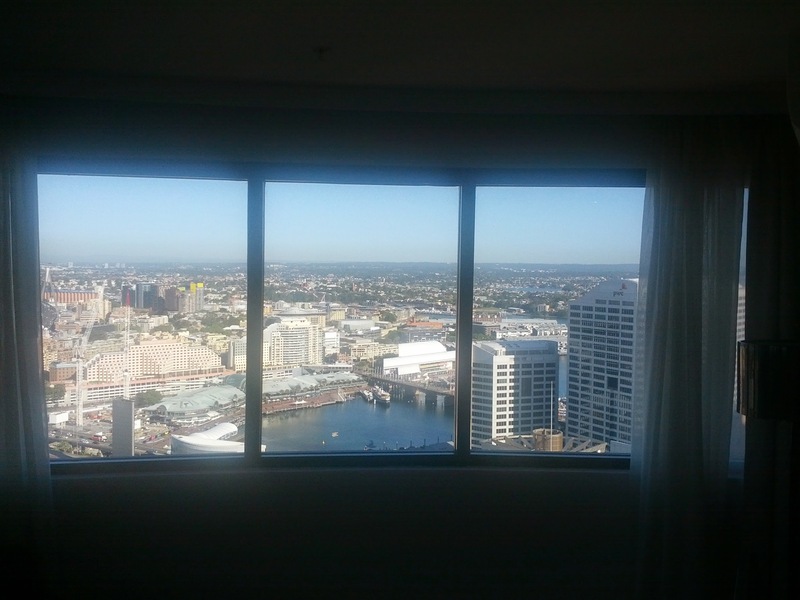 I’ve probably had better views of the water from various hotels but this one seemed to capture me with the pure amount of space that you could see. I think that’s a little rare from a view of a city. This trips brings to a close the last two years of travelling back and forth between Perth and first Brisbane and now Sydney. I’ve worked with a tremendous bunch of characters and I’m really pleased with what we’ve managed to deliver and the change we’ve made to the business. I hope the contacts I’ve made continue on into the future. Inside windows looking down to Cockle Bay and Darling Harbour. I’ve worked with a tremendous bunch of characters and I’m really pleased with what we’ve managed to deliver and the change we’ve made to the business. I hope the contacts I’ve made continue on into the future. I’m sure they will. The next phase hopes to be just as exciting and I’m looking forward to the challenges it’s going to bring.